After my last post, Want Your Small Church to Be Great? 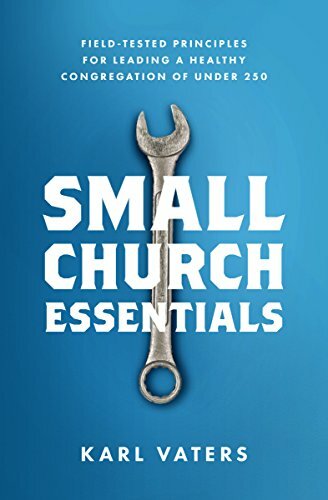 Make Good Small Church Choices, many readers wanted to know what good small church choices look like. People don’t attend small churches by mistake. They do so because they want a more intimate, personal experience than they can get in a bigger church. They want to know the people they’re worshiping and ministering with. They want to know the pastor. They’re not wrong for wanting that. As a church grows, the pastor stops being able to do hands-on ministry for every church member. And that's okay. A small church can't become healthy or big if we distance ourselves from people when we don't need to. As we'll see in points 3-5 (below) it's never good for a pastor to do all the ministry, even in a very small church. But a small church can't become healthy or big if we distance ourselves from people when we don't need to. Doing the smaller, intimate, relational things well is a good small church choice. I prepare every Sunday message for my small church with all the prayer, study and passion I have. Because of that preparation, I could preach to a church of 2,000 or 20,000 and no one would think “that was a small church message.” But I don’t deliver it in the same way to a crowd of 50 as I would to 200 or 2,000. In each of our two Sunday morning services, I preach to about 75 adults from an eight-inch high platform. The front row is three feet away from me – usually filled with high school and college students. Occasionally I’ll joke back-and-forth with the audience. When I teach that same message to 15 students at our local Teen Challenge recovery center, we sit in a circle. I make references to their current struggles and I throw it open for Q&A. If I took that same message to a crowd of 5,000, I would expect to stand or sit on a four-to-five foot raised stage, with the front row ten to twenty feet away from me. My eye contact would consist more of scanning the crowd than face-to-face. Many people would be looking at me on a screen instead of in person. There would be no back-and-forth banter. Same message. Same quality. Different methods for different sizes.